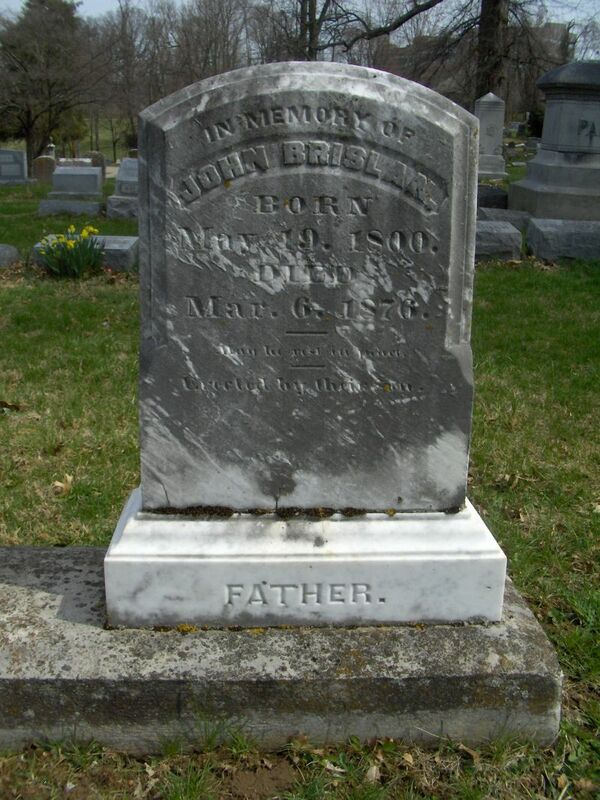 For my first Tombstone Tuesday contribution, and the inaugural post for this blog, I profiled the grave marker of a Ms. Hanora Canty and mentioned that in 1880 she was living with her son John's family, which included John's father-in-law James Brislan. This week I'd like to introduce Mr. John Brislan, whose relationship to James is unclear but there is likely a familial tie of some kind. None of the Brislans appear in the 1870 census for any county in Kentucky, or the United States for that matter. In 1880, however, they are clearly established in Franklin County. 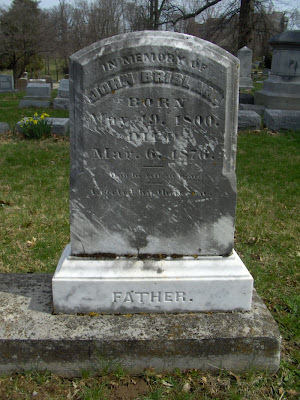 Jerry Brislan, a reputable 47-year-old grocer, appears likely to be the son of John who erected the monument in the photo and whose own son Jerry Jr. went on to be elected Sheriff in 1890. Alas, I can't declare this mystery solved until more in-depth research is done. I have managed to find John, and his wife Mary, living in Frankfort in 1870. I've also found the death record for a Jerry Brislan born in 1839 who died in 1917 whose parents were named John and Mary (Murphy). I'm still unable to connect John (and Mary) to Jerry. If I do, I'll keep you posted.